UVs ONLY SO YOU HAVE TO ADD THESE. Here is a Set of UVs that are for the Daz Troll sold at daz.com. This set of Uvs and Bumps are JPG format for you to add Yourself to the Daz Troll material room area in Poser. 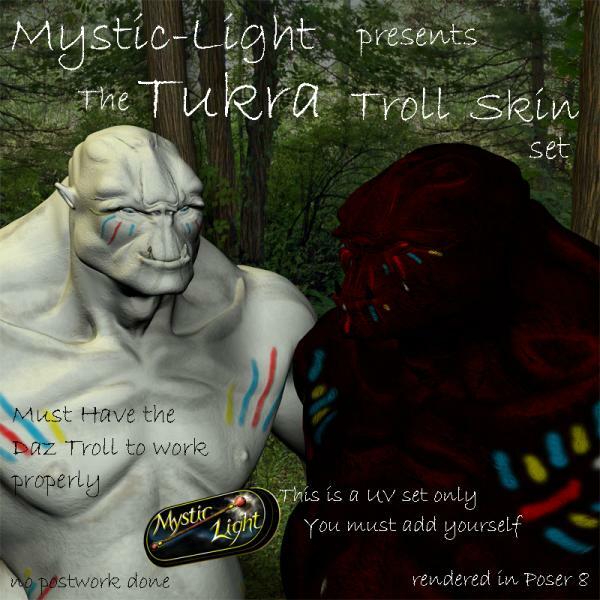 They are Kinda a Color Match for the Tukra Armor set sold at Content Paradise by Me .